There are a few white whales out there in terms of TARDISes that are not in my TARDIS collection. Some of these, such as either of the hand-made polystone TARDIS “diorama” models by Big Chief Studios, are pretty damn pale in terms of white whales. They seem like gigantic, 20″ high versions of my beloved Electronic Flight Control TARDIS, complete with lights and sound, but with a huge boost in quality. And as much as I would love one, the reason I’ve not bought one is because they are just stupid expensive even at base retail price, going for between $250 and $400 depending on the retailer. I buy one of those and my wife will probably see it as grounds for divorce. 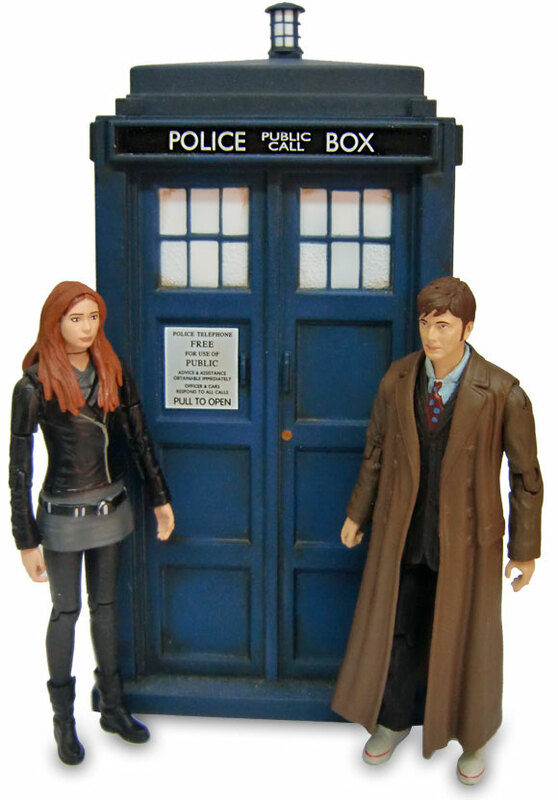 However, there are other TARDIS models and toys that were well below the Big Studios threshold when they were first offered for sale, but which, once out-of-stock, became rare and saw their price triple. One such specimen is the TARDIS Special Edition Figurine released by the Eaglemoss model company. For those not in the know, Eaglemoss is a company that specializes in spaceship models and sculpted figurines of pop culture characters, usually cast in metal. 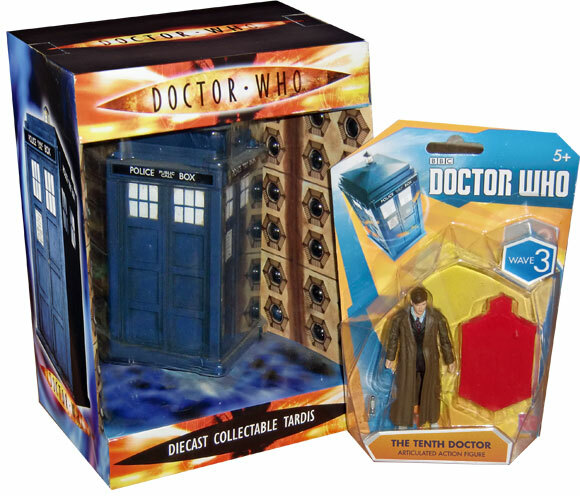 They have figurine lines for Star Trek, DC Comics, Marvel Comics, The Walking Dead, and others, but have spent most of the last decade producing a line of Doctor Who figurines as well. 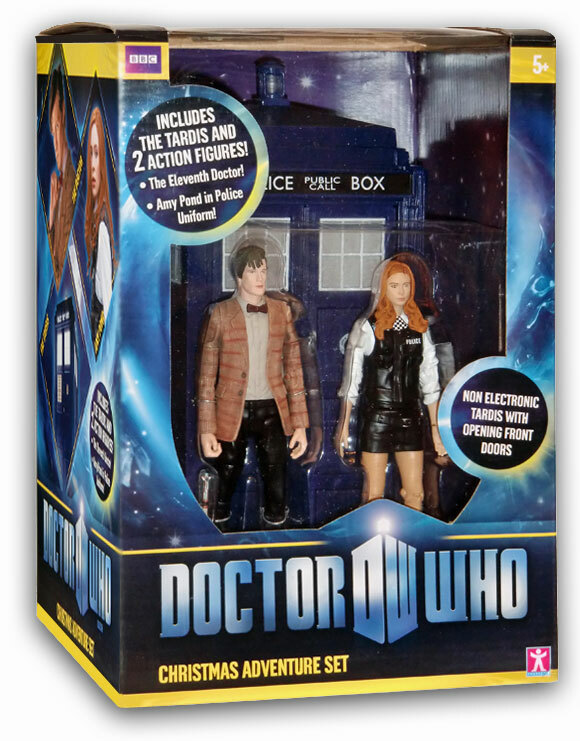 And the fact that I don’t own any of the figurines from this line is pretty much down to marriage preservation, too, for each of the Doctors originally retail for $17.95, making a 12 Doctor set cost-prohibitive unless purchased in the $35 four-pack sets, and even then… really? Eaglemoss made a TARDIS, though, which is a white whale that’s been singing a siren call to me for several years. It originally retailed for $35, which seemed not unreasonable to me. Trouble was, shipping was another $15 on top of that, which I could not justify. Of course, they usually offer free shipping on orders of $60 or more, but that meant having to buy two of them, or finding some other stuff to order with it and before you know it I had well over $100 of stuff in my cart when all I really wanted was one stinkin’ TARDIS and I’d get fed up and walk away. After, let’s say, two years of doing this, the Eaglemoss TARDIS went out-of-stock. And even though they have a little box where you can leave your email in case they re-stock, they are not known for actually re-stocking what was the whole time intended to be an individually numbered limited print run, so that’s not happening. I soon began seeing my former $45 TARDIS for sale on eBay for upwards of $100. And when it was anywhere under $50, it was always a seller in England and they tacked on another $40 for shipping to the U.S.–which was never gonna happen on my watch. I sadly resolved myself to the likelihood that the Eaglemoss TARDIS, much like the Electronic 4th Doctor TARDIS set from 2010, was a whale that had slipped my clutches, escaping into the vast sea of prohibitively priced merchandise. I mean, it didn’t stop me from setting up a saved search for it, though, since you never could tell when one might find an auction for one at a reasonable price point. This never seemed to happen, though. A few days later, my new Eaglemoss TARDIS arrived and was something of a surprise, mainly because it was three times bigger than I expected it to be. The Eaglemoss figurines I’ve seen and owned are around three inches in height, so I assumed somehow that the TARDIS would be as well. Nope. It’s to scale with the Doctor figurines, so it’s a full five inches from the base to the bottom of the roof lamp. The other surprise was the material it was made of. While I don’t own any other Doctor Who Eaglemoss figurines, I do own a Starman and an Ambush Bug from the DC line; they’re both cast from metal, so I expected the TARDIS would be metal as well (hence the huge shipping costs for most folks). The TARDIS, however, is cast with some sort of resin. I imagine a TARDIS of this size cast in pewter would probably weight at least five pounds, so it’s probably for the best. I’d say this thing is still a solid 2 pounds. As far as TARDISes go, it’s mostly decent. The sculpting is nice, though there is no wood grain, but I’m okay with that. Where it kind of misses the mark for me is in the detail work of the painting. The windows are especially sloppy, with the gray paint of the frames occasionally splashing up onto the blue of the exterior TARDIS walls or onto the white of the “glass” panes. It looks like it was painted by a fairly skilled 10-year-old. The sloppiness extends to the painting of the roof lamp. Also, the decal for the door sign was applied skewed to the left side of the phone-cabinet instead of centered properly. Again, it looks like a skilled 10-year-old might have done it, so, again, I’m going to blame child labor. Despite these complaints, though, it’s still a nice piece that I’m proud to have in my collection. And a white whale hunted and killed and flensed and turned into 19th century lamp oil. I give it 3.5 TARDI. May 18-19, 2018 — Eric is the director for the 2018 Opera House PlayFest at the Pocahontas County Opera House in Marlinton, W.Va. Featured plays will include “Petting Zoo Story” by Jason Half, “Daughters These Days” by T.K. Lee, “Beans and Franks Never Tasted So Good” by Jon Joy, “A Game of Twenty…” by Eric himself, “Riding Lessons” by Brett Hursey, and “Bankin’ on the Grand” by Chris Shaw Swanson. Featured actors will include Chris Curry, John C. Davis, Eric Fritzius, Janet Ghigo, Charlie Maghee Hughes, Kim King, Jay Miller, Bill Mitchell, Joanna Murdock, Rhonda Pritt, and Shenda Smith. Tickets will be available at the door. He finally has his answers. I would be remiss if I didn’t take a moment to write about the passing of Art Bell, purveyor of strange ideas and the poser of questions concerning all manner of mysteries of the universe. He was for many years the host of Coast to Coast A.M., one of the most successful radio programs of the last half century. Art’s was a fantastic and fascinating format, as he basically just opened the phone lines to anyone who wanted to call about whatever topic he was covering in a given night. Ghost stories? He took `em. UFO sightings? He wanted to hear about `em. Were you a time traveler? Give Art a call if you were in the same year. He might not believe you, but he’d let you tell your story. I wish I could say I grew up listening to Art Bell, but if a radio station in my area of Mississippi broadcast his show I was unaware of it. I learned of him in the late `90s while working as a radio DJ myself in Tupelo, Mississippi. I can’t recall for sure how I came to know of him, but likely from one of the various conspiracy, UFO, or cryptozooloigic websites I was a fan of in the day. I know for a fact that I had read a creepy story or to featuring his show in an encyclopedia of Fortean topics I owned at the time (but which has mysteriously disappeared from my shelf now). He was a fascinating figure, even if I couldn’t hear him on a regular basis. I was able to download clips of his shows from his website, but streaming was an odd creature in the late 90s. And then, in 1998, just as I was learning of Art to begin with, he retired under mysterious circumstances. It was to be the first of many such retirements, almost all of which didn’t take for very long. Art was soon back on the air. When I moved to North Carolina in 1999, Coast to Coast was broadcast by one of the sister stations to the one I worked for in Charlotte. And during the two months or so I did an overnight shift there, I often found myself switching over to the AM feed and listening to Art in real time, rather than downloads days later. It was always entertaining. However, my thankful departure from that shift and Art’s various other premature retirements kept me from regularly hearing him much after that. While Rik is also the “author” of the foreword to A Consternation of Monsters. But he’s only turned up in one short story, so far. However, he’s been referenced and even makes an audio appearance in three of my short plays. I call them the Ellipses Cycle, as they all have titles featuring ellipses and are thematically tied together by their strange and unusual (and often West Virginia-related) subject matter. They also all mention Rik Winston. They include the stage adaptation of “…to a Flame,” the inspired-by-a-true-story African lion adventure “…and Tigers and Bears,” and a third play set in the waiting room of eternity called “A Game of Twenty…” It’s a story about a guy who finally gets to ask for answers to all the questions about strange and unusual things he has wondered about. Naturally, he loves every single answer he gets. That play has been produced for Greenbrier Valley Theatre as well as a staged reading at the 2016 West Virginia Playwright’s Festival. And, in May, it will again be performed as part of the Opera House PlayFest 2018. I’ll have to dedicate it to Art Bell. Hopefully now, the man has all the answers. But here’s hoping it’s another early retirement.